What is global warming? what are the causes and effects? Global warming is a word that is being used widely all over the Universe. As the term suggests, it is just the warming up of the globe but the effects are too frightening. Let us know what global warming is , its causes and effects. The causes are divided into two: man-made and natural causes. Global warming simply means change in the climate of the earth due to various natural and manmade factors. It is steady increase in temperature that affects the whole world. This is a global issue that is of great priority. It is an environmental challenge of the modern world. We humans are mostly responsible for this global warming. It is defined as “an increase in the average temperature of the Earth’s atmosphere, especially a sustained increase great enough to cause changes in the global climate”; [Definition courtesy :www.dictionary.com] we know now that this has been happening since at least the last 100 years. A change or an increase in one degree is also considered as global warming. These have a negative effect on the earth’s atmosphere. The climate of the earth changes altogether inviting a lot of natural calamities like hurricanes, earthquakes and storms. The entire ecosystem gets disrupted owing to loss in biodiversity. The greenhouse gases as a result of human activity are mostly responsible foe the sudden change in temperature. All these gases like carbon dioxide, methane, nitrous oxide and so on act as a blanket in the atmosphere that traps heat and radiates it back. This in turn alters the climate globally. Cutting down of trees – this is one of the major reasons for global warming. The forests filter the atmosphere and absorb the excess carbon di oxide from the atmosphere. The atmosphere gets balanced this way. But excessive deforestation has proved to have negative impact on the environment. Due to lack of trees, the excessive amount of green house gases gets absorbed to the atmosphere leading to global warming. Drilling and burning of fossil fuel – during the drilling of fossil fuel, the earth releases harmful gases into the atmosphere. This pollutes the environment. The newer techniques in drilling disrupt the balance of the environment. 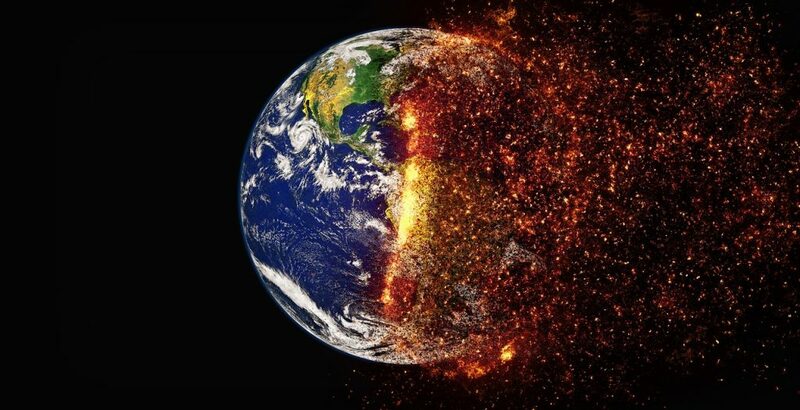 Burning of fossil fuel also emits the green house gases like carbon dioxide, methane and sulfur oxide that adds up to environment pollution leading to global warming. Agricultural fertilizers – the present scenario is such that, it is impossible to meet the increasing demand of agriculture without the use of fertilizers. All agricultural farmers use fertilizers to increase production which leads to increase in profit. Most of the fertilizers contain nitrous oxide that has an ability to absorb and trap the heat which will help the plant grow. But this has a negative effect in the environment. This aids global warming. Landfills – landfills will promote global warming. These dumped waste release nitrous oxide, a dangerous green house gas that is very harmful to the environment. So this is a major factor for global warming. Power plants – studies have proved that the power plants are responsible for more than 40 percentage of global warming. Most of the emissions are from coal and oil power plants. These power plants are all variants of green house gases which is absorbed by the atmosphere that adds on to global warming. Exhaust from vehicles – studies has proved exhaust of vehicles is responsible for more than 35 percentage of global warming. Most of the vehicles run with an engine that uses fossil fuel that is harmful to the atmosphere because of its emissions. Over population – this is another cause of global warming. Over population means more carbon di oxide in the atmosphere. Carbon is a major green house gas that causes global warming. Grime – grime is the grayish colored coating that is commonly seen in buildings. Recent studies have proved that this grime traps nitrous oxide from the atmosphere and when sunrays falls on it, it releases it back into the atmosphere in concentrated form. Volcano – the volcanic eruptions emit ashes and smoke that has a negative impact on the atmosphere. Volcanoes are the biggest contributors to global warming. Forest fire – natural forest blazes are a serious threat to the atmosphere. They emit enormous amount of carbon to the atmosphere which makes the planet warmer. This facilitates global warming. WHAT ARE THE EFFECTS OF GLOBAL WARMING? Temperature increase – there is a global increase in the temperature due to global warming. As per studies, the temperature has increased by 1.5 degrees since 1880. This is one of the worst irreversible effects of global warming. Melting of ice – due to the increase in temperatures globally, the ice in the polar belts has started to melt rapidly. This can further cause increase in sea levels too. Ocean acidification – ocean acidification is a situation in which the ph levels of water bodies increase and they become more acidic. This is a serious threat to the marine life which ultimately affects the natural food chain. Many sea animals are on the path of extinction due to ocean acidification. Thus this is another major effect of ocean acidification. Rise in the sea level – over the past few centuries, there has been a steady increase in the sea levels in most of the regions. This can be mainly due to the melting of the polar ice. Ocean conveyor belt alters – global ocean conveyor belt is a system through which deep ocean water circulates. This belt gets disrupted and temperatures rise due to global warming. Hampers ecosystem – the coral reefs, the plants and all have a weak ecosystem. Due to global warming, their natural life cycle gets disrupted causing damage to the ecosystem. Extinction of small islands – due to the increase in the water levels, the small islands are on the path of extinction. This might even cause flooding and storms. So thus global warming is a threat to the small islands. Widespread disease – due the fluctuations in temperatures, the heat and the humidity of the different areas varies. Due to this change, it is can be a breeding ground for mosquitoes. These mosquitoes carry diseases from one place to another and in this way can spread a lot of diseases. Drought – due to the increase in temperatures, the evaporation rates from the river, sea, lakes and even soil increases. This situation increases the chance for droughts. This is most affected in areas where the water is already scarce. Natural habitat vanishes – all plants and animals grow in particular habitat which specified climatic changes. Thus due to the unexpected climatic changes, their natural habitat vanished owing to its extinction. It sometimes becomes impossible for these plants to get acclimatized to new unexpected changes in climate. This ultimately affects their life span. 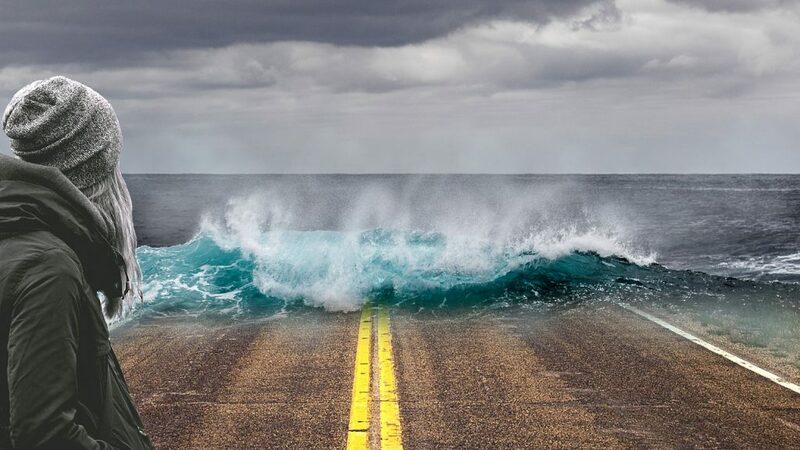 Coastal cities at high risk – most of the cities in the coastal areas are at high risk due to the increase in the level of water due to global warming. Reduction in humans – there will be considerable reduction in the population due to various factors like unbearable temperature, widespread of disease, air and water pollution and due to floods and hurricanes. All these are aftermaths of global warming. Even we have summarized the effects of global warming above, but it is being discussed very deeply in yet another head. It is being observed that the global warming has become so remarkable and threatening from the last two decades for the environment.